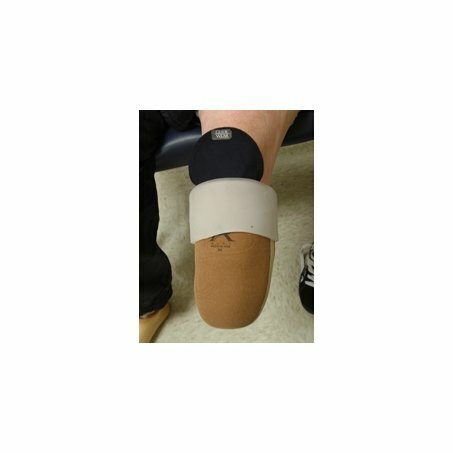 Glidewear prosthetic liner patches act as a protective liner between an amputee's residual limb and the prosthetic liner, sock, or socket. These patches are available in 2 sizes and provide targeted friction and shear protection to help reduce irritation and skin breakdown. 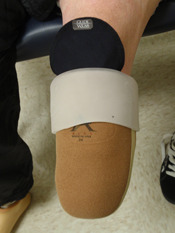 Glidewear's patented low-friction fabric technology has been used for years in various product formats to provide protection between skin and clothing, footwear, orthotic and prosthetic devices, wheelchair seating, and mattress covers. The new prosthetic liner patch is the first time this advanced technology is available specifically for transtibial amputees. Small Glidewear patch = 2.5" x 4.75"
Large Glidewear patch = 4.5" x 7.5"
I wear a "Winter's Gel" liner from Alps. (The same liner that Winter the Dolphin uses) The company states that you cannot use any petroleum products on the inside of the liner because the gel will literally disintegrate. Will I be able to use this product? Larry, I we emailed the manufacturer of GlideWear and this was his answer to your question: I'm aware that petroleum products are contraindicated for gel liners. Yes, he can absolutely use the GlideWear Patch. In fact, the prosthetist who developed Winters Gel is a big advocate for GlideWear.